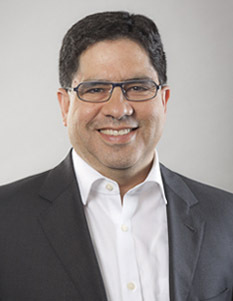 Walterio has been with R+C for 18 years out of a 23-year professional career. He has been responsible for the structural design and project delivery of a wide range of building types. Walterio’s project portfolio includes energy facilities, courthouses, research laboratories, medical office buildings and skilled nursing facilities. He has extensive knowledge of the seismic design and detailing of cost-effective structural steel systems, earning him and his projects awards within the industry. Walterio is an internationally recognized authority in the use of buckling-restrained braced frames (BRBFs). He has authored or co-authored technical papers on structural steel braced frames. His involvement with BRBFs resulted in his receipt of the prestigious AISC T.R. Higgins Lectureship Award. He is a SEAONC director, past chair of SEAONC's Steel Seismology Subcommittee, serves on two advisory boards for research projects dealing with innovative structural steel systems, and is a corresponding member of AISC Task Committee 9.